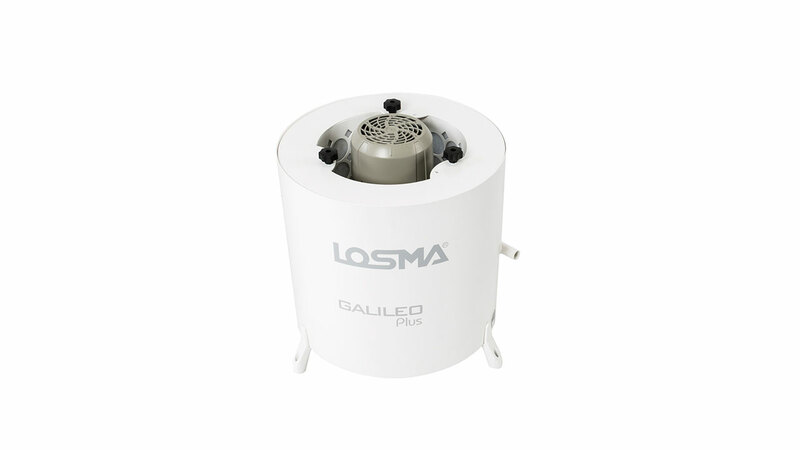 Galileo Plus is a centrifugal oil mist filter for mist generated from neat oil and emulsions used in machine tools, also suitable in the presence of particulate. 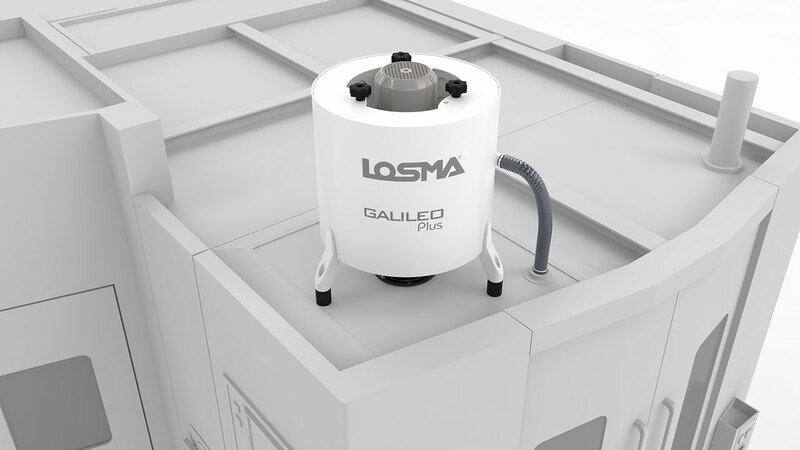 It is designed to be mounted to the machine tools. 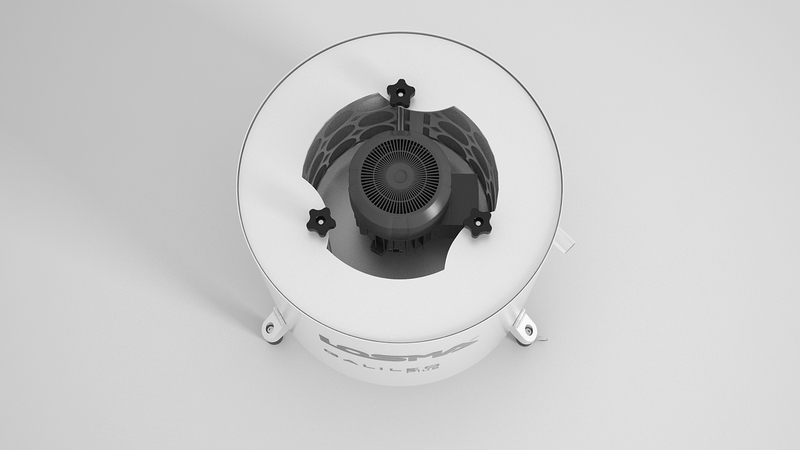 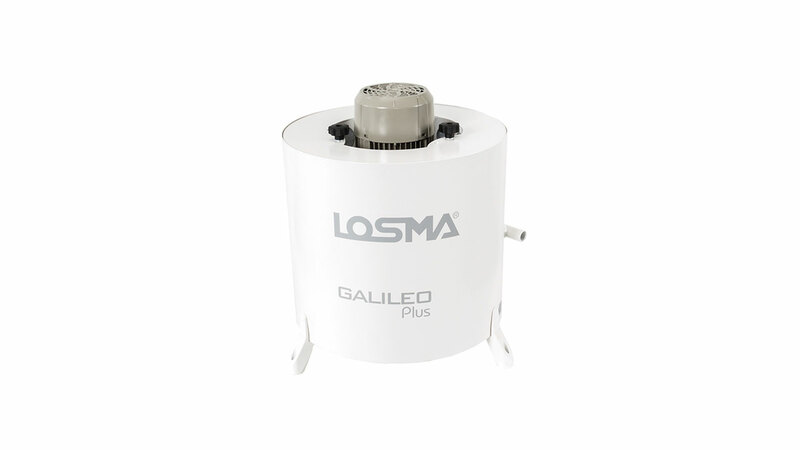 Galileo Plus uses energy saving motors with high efficiency and very low power (KW). 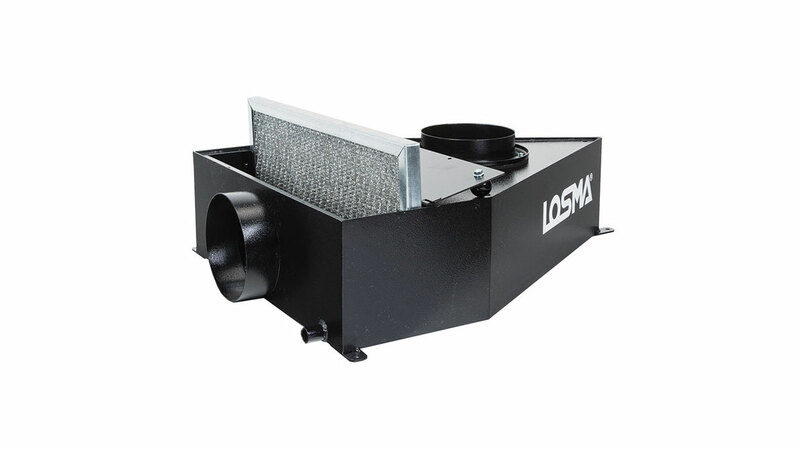 Internal filters can be cleaned or changed simple opening of a cover. 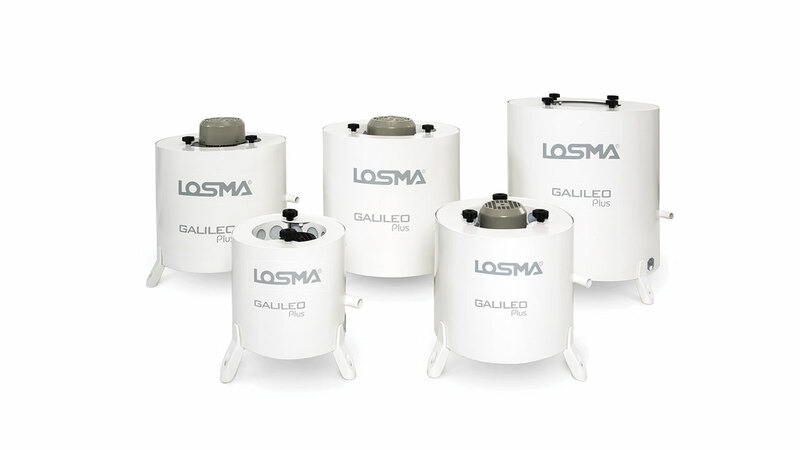 Galileo Plus is available in 5 models with throughputs from 325 to 3.500 m3/h. 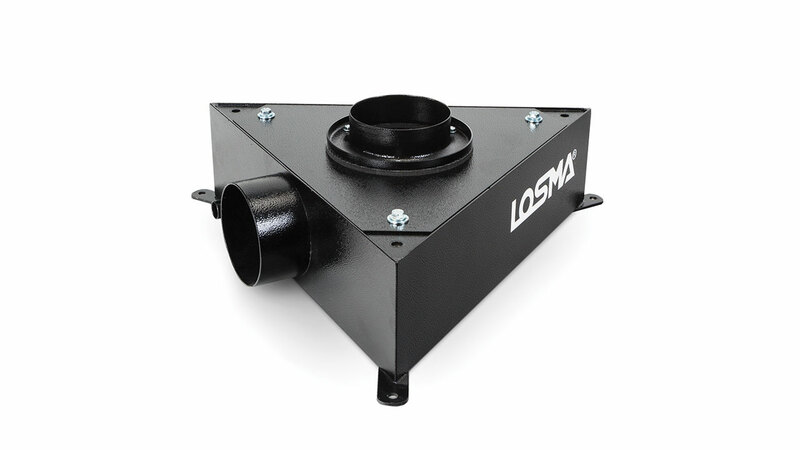 The system has a special turbine deigned for avoiding dust settlement on its surface, in order to reduce the vibration problem also in presence of high quantity of particulate. 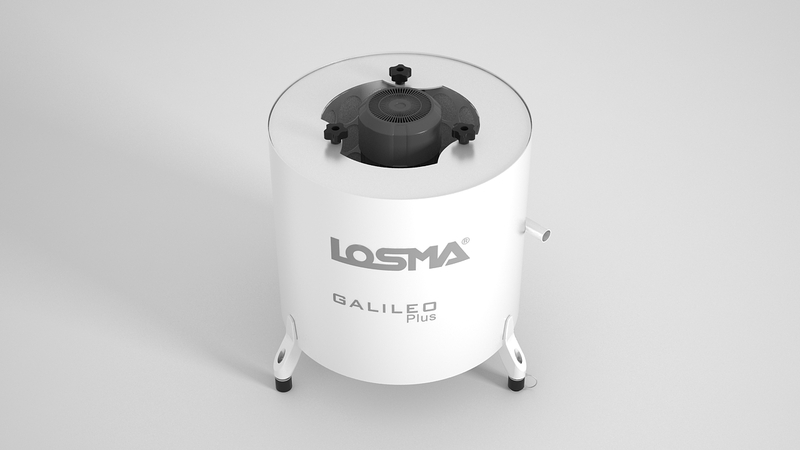 Polluted air is drawn from machine tool into the lower pre-chamber (A) of Galileo Plus. 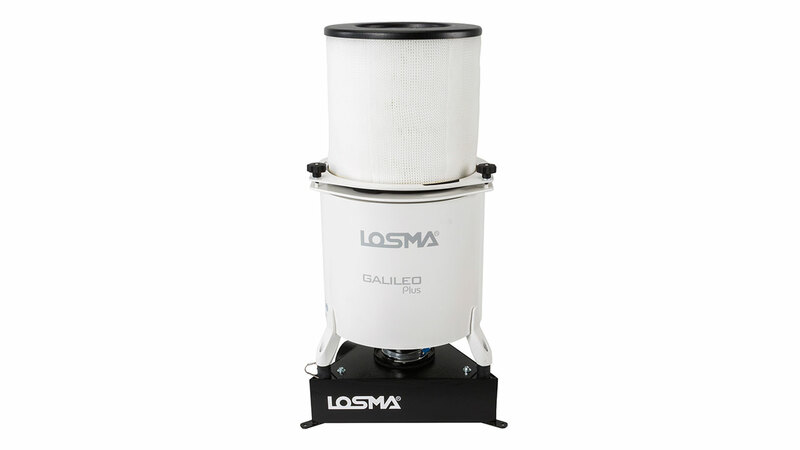 The acceleration effect, due to the centrifugal force generated by rotating turbine, makes the oil particles bind together and return to liquid state, using the coalescence principle. 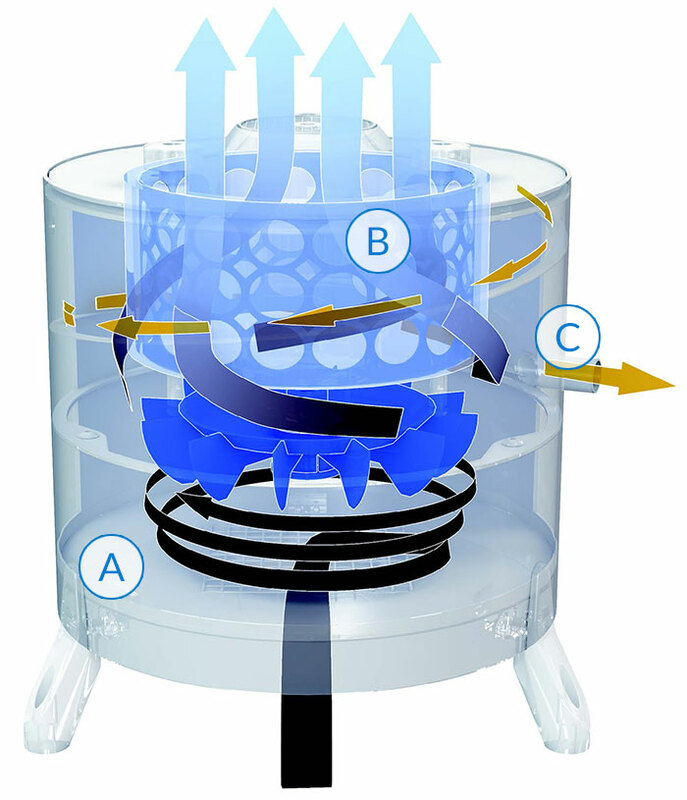 A special Multilayer filter (B) having high filtration efficiency, stops and catches even the smallest pollutant particles, avoiding their dispersion in environment. 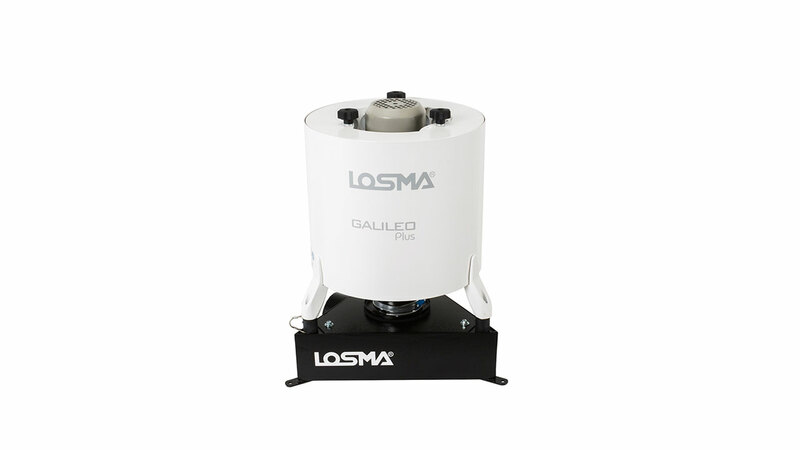 Thanks to a special drainage tube (C) the liquid oil is sent back to the machine tool, to be re-used in working process. 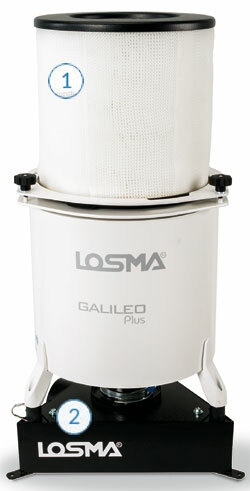 Post-filter cartridge for micro-mist, smoke and vapor. 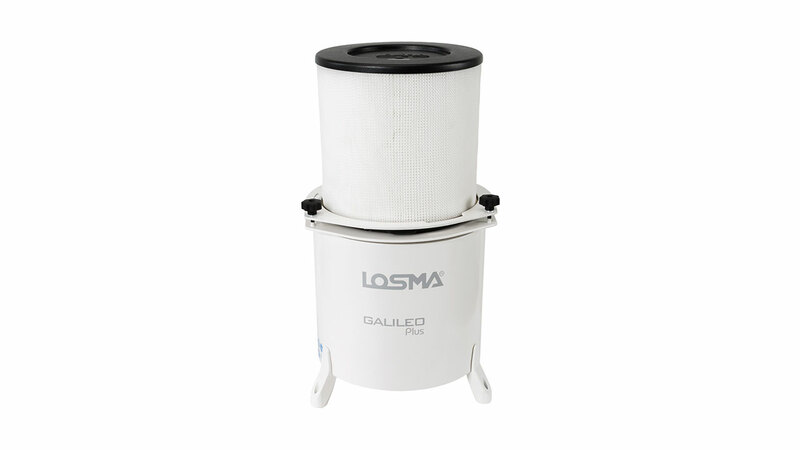 It allows to reach a high filtration level up to 99,97%. 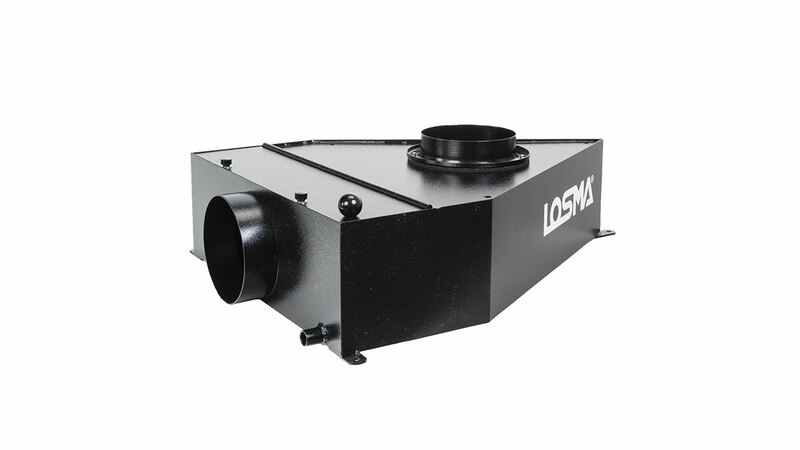 Pre-filtration module useful to optimize air filtration efficiency, in case of high production of oil mist containing dust or swarf chips, also with high pressures. 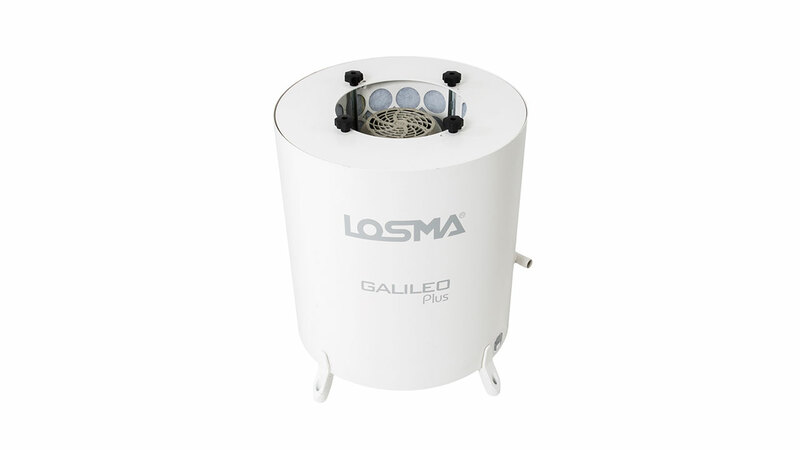 The G-Guard is washable.